Benue State Governor Samuel Ortom has claimed that President Muhammadu Buhari is the only credible presidential candidate that has the capacity to take Nigeria out of her present situation in 2019. Addressing State House reporters yesterday after meeting with the President, Ortom said he was at the Villa to appreciate Buhari and encourage him to be steadfast and committed to leadership. "I believe that what God brought him to achieve in this country, he’ll definitely achieve it. Now, we see him bouncing every day to the glory of God. “We appreciate this and we look forward that God will help him to take us through 2015 to 2019 and then 2019 to 2023. “That is our prayer because for now, there is no credible candidate as far as I know that has the capacity to take Nigeria out of where we are today. 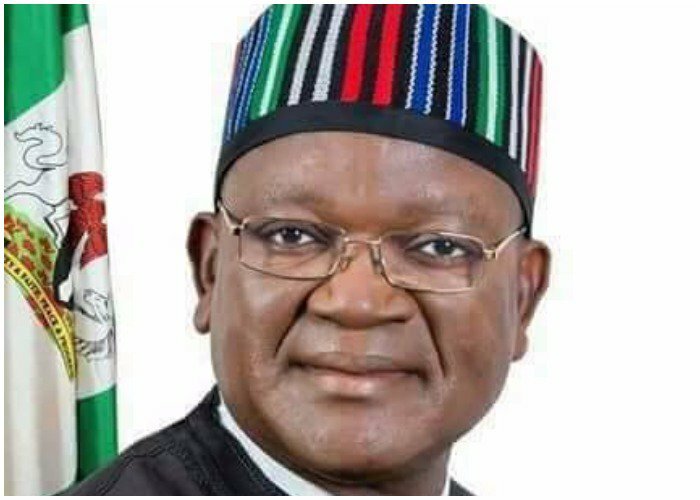 “I believe Mr President has the capacity, and let God sustain his health and consummate his healing so that Nigeria can be on the right path,” Ortom said.